The complete guide to slow cooking from Australia's number one slow cooking author. A bumper edition of recipes from the best known, best loved and the biggest selling author of books on slow cooking, Sally Wise. 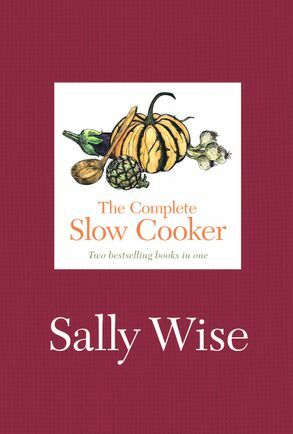 This combination of SLOW COOKER and SLOW COOKER 2 is packed full of Sally's great recipes, drawn from a collection created over thirty years of preparing tasty and economical meals for her family. Recipes include heart-warming soups, yummy mains and delectable desserts. These mouthwatering and easy-to-follow recipes will make slow cooking a cinch, all year round. It is the essential collection of slow cooker recipes for everyone needing everyday inspiration and ideas for delicious, nutritious meals.